It can be difficult, sometimes, to understand the difference between what is real and something that has been constructed for a business purpose, especially in this era of social media frenzy and viral moments. How far would you be willing to go to "brand" yourself? 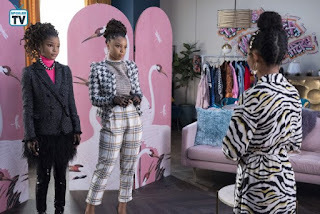 That's what Jazz and Sky deal with in the upcoming episode of "Grown-ish". 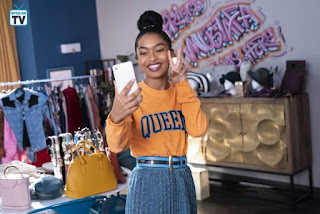 With the help of Zoey, who's decided to become a fashion stylist instead of a designer, the two sisters start changing their style in order to get sponsorships that would help them boost their career and their social media presence. What starts as an incredible idea, turns out to be the pretext for something completely different: the pictures the sisters take end up published on an account that, let's say, is not your "regular" account. This situation proves to be useful to the sisters, who gain popularity and lots of followers. Jazz is super thrilled about it, she thinks that she's owning her body and her image to reach a goal, whereas Sky does not seem convinced at all. The others have different opinions about the whole thing; Zoey feels responsible for "branding" the sisters' image in a wrong way, Ana feels kind of embarrassed and Nomi embraces it, thinking that what they're doing is extremely empowering. 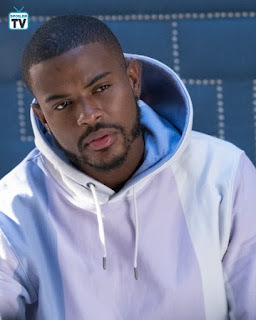 Someone who doesn't feel at ease with the situation is Jazz's boyfriend, who thinks that people will exploit his girlfriend's image for personal needs (let's just call them that!). She immediately makes him notice the double standard of it all: he likes similar pictures all the time, but because she's doing it in a safe and conscious way, she's in the wrong. The consequences of that picture will be clear in a moment during the episode, where Jazz and Sky have to deal with the fact that most people confuse reality with what's created for online purposes only. Ana and Jackson are heating things up, while trying not to get busted by the others and figuring out their relationship one step at the time. What do you guys think about this potential new couple? Who do you think will be the first person to find out about them? 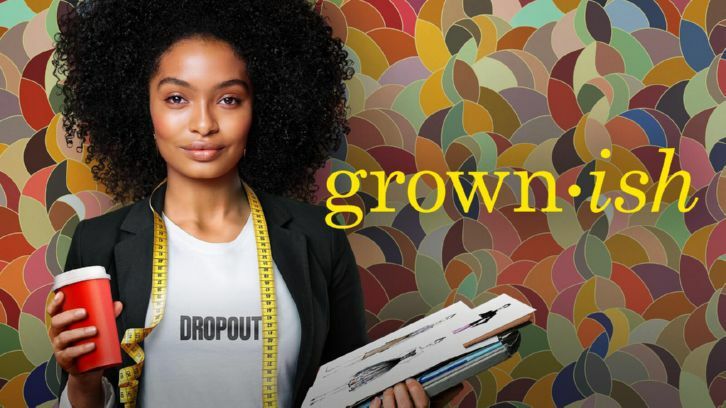 It is another great episode of "Grown-ish", one that tackles another important topic. Both sides are clearly stated. 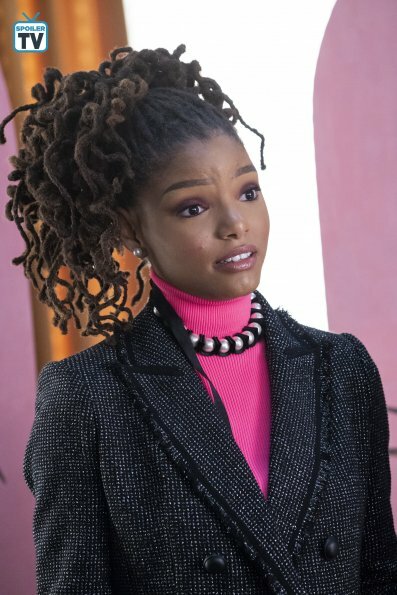 Halle and Chloe Bailey are the true MVPs of this episode, where they show different sides of their personality, by using their empowering voices. Zoey: "This is very excellent, very vintage knock-off couture!". Sky:" Wait. So dead people wore this?". So, what do you guys think about building an online persona in order to help you brand your style? Let me know in the comments below! "Grown-ish" airs on Wednesday on Freeform.